The chef wakes up early in the morning to make sure he can secure the best ingredients available. He transforms them while respecting their nature, and interprets their qualities all the way, until the guests arrive at the table. Until that final result that must preserve and at the same time highlight, all the work done. Pietrasantino di nascita e Viareggino d’adozione, è conosciuto per essere, in Versilia, uno dei pionieri della valorizzazione e promozione dei prodotti locali, della Biodinamica e del Biologico. Inizia da ragazzino (era il 1987) da Riccardo Santini al Vignaccio, con il quale collabora tutt’oggi. Dopo varie esperienza formative in Versilia – Catering di Lusso e Ristoranti – è Giovanissimo direttore a Vienna della “White Bread Restaurant”. Dal 2000 al 2004 collabora con Doriano Pezzato del pluripremiato “Novelli” – all’epoca uno dei migliori ristoranti Italiani al mondo – come Direttore dell’Osteria “Novelli”. Dopo una significativa ma breve esperienza da Lorenzo Al Forte, dal 2010 è “Oste Moderno” di “Vigna Ilaria”, premiato dal pubblico e dalla critica, per la ricerca dei prodotti locali e “dimenticati” e dal 2013 comincia la sua collaborazione con Maurizio Marsili. Oggi è il nostro Direttore, oppure “Oste Moderno” come piace a Lui. Maurizio was born in Pietrasanta and then adopted Viareggio as his hometown. He has always worked hand in hand with Viareggio’s fishermen and for several years, he was the President of the fisherman’s association, contributing to the development of conservation techniques on fishing vessels. On numerous occasions, Marsili has been a Slow Food testimonial and has always collaborated with marine biologists. Today, more than ever, he is one of the leading and most expert connoisseurs of the species fished in our seas. He took his first significant steps alongside Angelo Paracucchi, with whom he collaborated for 12 years. For this reason, Maurizio is known as his trusty/virtuous/talented pupil. 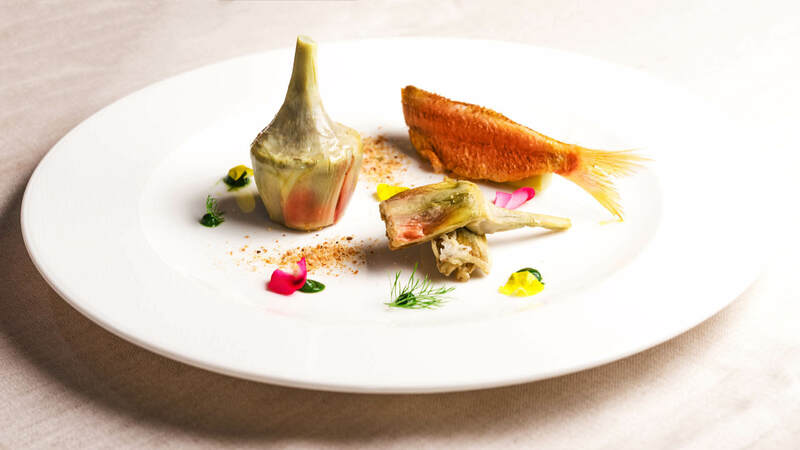 After an equally long experience at the Hotel Plaza in Viareggio, he landed at Vigna Ilaria and is still with us as Executive Chef and at the center of the “Pesce Briaco” venture. Born in Viareggio, after his studies at the Hotel Management and Catering school in Massa, internships and professional experiences in the restaurants of the Versilia coast (including Lorenzo in Forte dei Marmi, the Principe di Piemonte, Ariston and others), Alessandro decided to complete his training abroad. He has worked in Bermuda, London, Australia and France, always in important and starred gourmet venues. After being on board private yachts, Luchinelli returned to Viareggio working at the Restaurant “Da Henry” that shortly thereafter was awarded a Michelin star. After two major significant tours at Miro in Darsena and at l’Orsa Maggiore in Forte dei Marmi, Alessandro decided to embrace the “Pesce Briaco” project and today is our Chef de Cuisine. 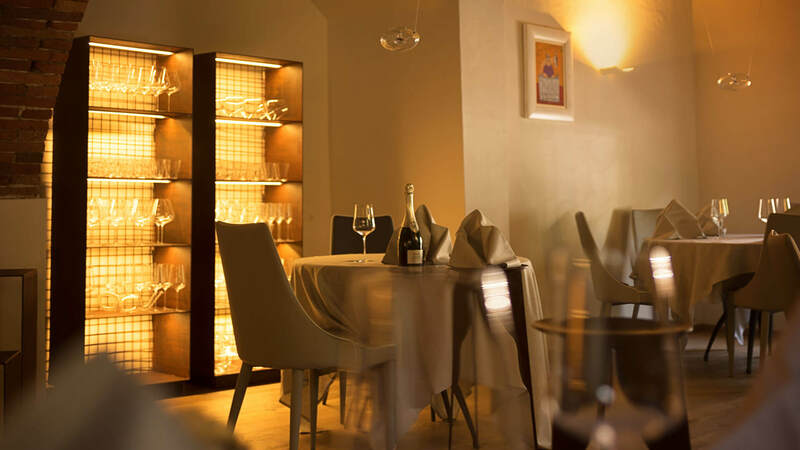 The restaurant lies just 5 km away from Lucca, in a quiet secluded place, surrounded by historical villas – simple yet elegant, stylish but not extravagant. Here you’ll find wonderful wines – the fruit of our endless searching, – that go perfectly well together with the delicate menu which is, incidentally, also the result of a long journey and goes all the way back to Angelo Paracucchi cuisine.